With apologies for the delay! 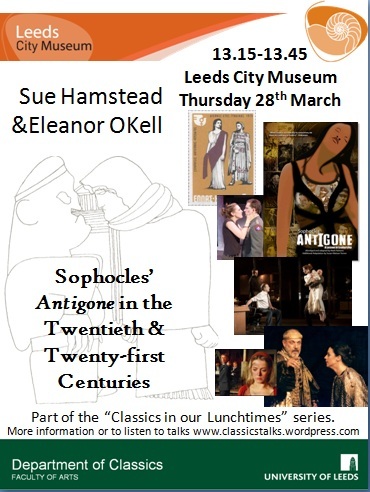 My poster for the talk by me and Sue. Unfortunately, Sue Hamstead wasn’t able to be there on the day but she did send a text, which Eleanor OKell read. The Powerpoint contains more slides than were actually referred to in the talk and there is one point where the speaker got a bit confused over where in the slideshow they were. Nevertheless, I’ve decided to keep the full slideshow – just in case additional images relating to Fugard’s The Island are of interest – you may want to take a note of which slides the particular adaptations referred to start before you listen to the talk!